A Beginner’s Guide to Children Doing Chores. How parents can teach their children to learn to do chores and help with household tasks at home. Teaching your children to work hard and do their Chores around the house is possible and feasible. It is not an easy road. There will be many years when your child’s contribution is waaaaayyy below the standard of clean you have set for yourself. 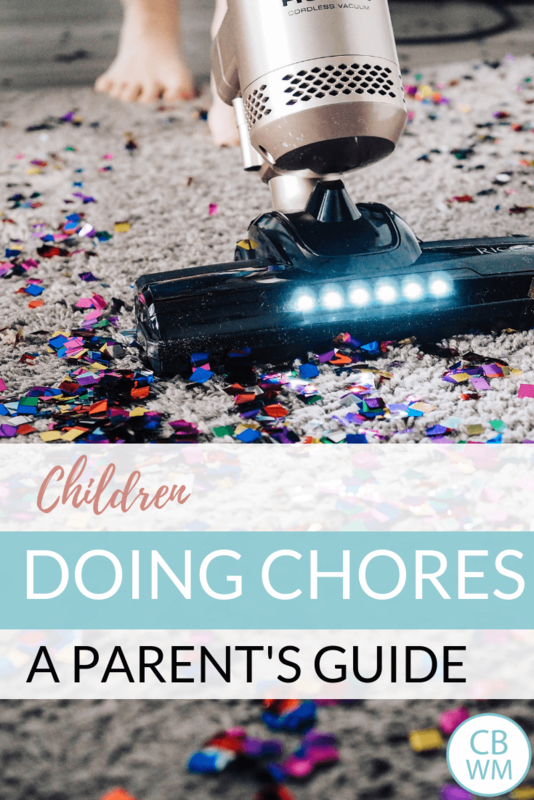 There will be many more hours spent helping, teaching, and walking your child through chores than there would be if you just did it yourself. There will be many creative efforts taken by your children to find a way out of the chores. There are payouts down the line, despite the difficult road getting there. Having children do chores is so beneficial for families. One day, your child will vacuum a room and you will realize that he did a good job. 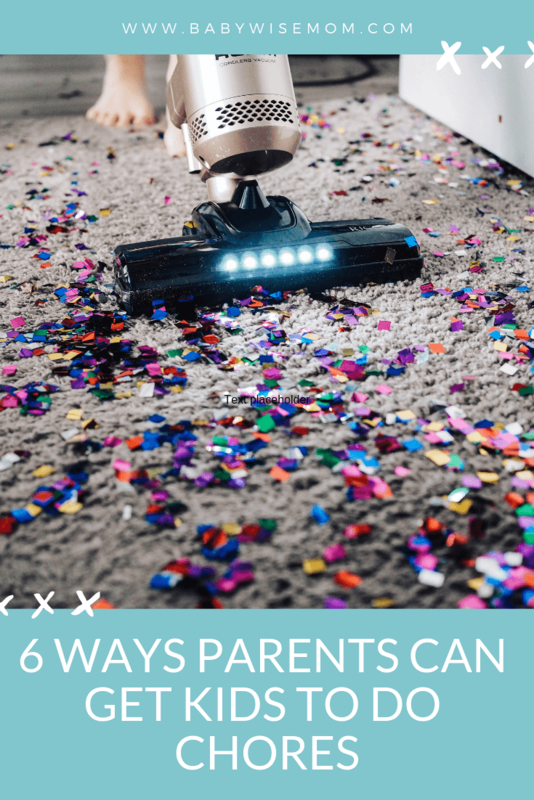 You will have multiple children who make multiple messes, but who also provide multiple hands in cleaning up that mess (trust me, you do not want to face the messes of your children alone 5-10 years down the line). I am also looking to the day when my children move out of the house and are able to go in confidence, capable of caring for themselves. Recently, I faced a sudden major surgery. A routine appointment had me in the operating room less than three weeks later. I was, and am, so grateful for the years I spent teaching my children to do chores. I knew my children would be able to help around the house. I knew they would help clean bathrooms, vacuum, and make dinner. I knew they were able to take care of themselves, the house, and even me. This was no a payday I could plan for; it came suddenly. The years of effort paid off. So how do you start teaching children to do household chores? The key to all things parenting is being a good model of the behavior you want your child to mimic. If you clean around your child from very young, your child will want to clean from a very young age. This isn’t always easy. It is often easier to clean while your baby is napping. When my oldest was a baby, we lived in a studio apartment, so I had to clean while he was awake. He loved cleaning. He was literally trying to sweep with a broom at 7.5 months old. When my second was a baby, we were in a house with bedrooms! I cleaned while she napped. As she got older, I realized she did not care for cleaning at all. 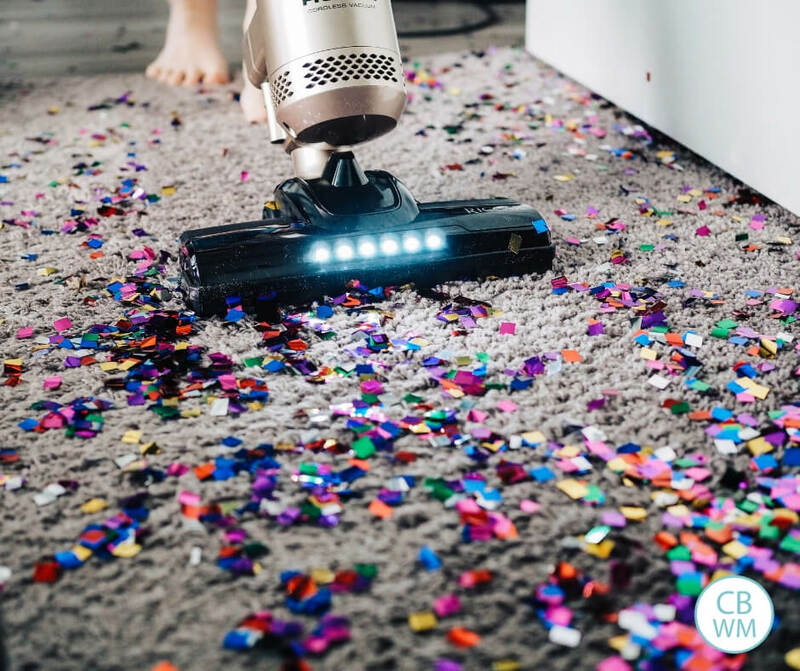 I since learned from that and have been sure to do some cleaning with my children around even as babies, and my second two children both have been happy cleaners from a young age (and don’t worry–my second is a good cleaner now. Mistakes can be remedied 🙂 ). Your little one is going to want to do chores with you if you have modeled it from a young age. Get creative to find ways to allow your little one to help you. If you are dusting, give your child a dust rag to help dust. Get a little broom so your toddler can sweep along side of you. Give your preschooler a squirt bottle filled with water and a rag and let him clean things (I often ask the little one to wash doors this way). As your child helps, thank your child for helping you and commend your child for being a good helper in the family. A young child wants to help–you want to fan that flame and keep it burning as long as possible. Your child will not always find a thrill in cleaning. Even a ten year old who doesn’t mind cleaning will be able to think of twenty other things that could be happening rather than cleaning. You have to trust your child enough to go ahead and give out chores from a young age. You can see what chores we deem appropriate for 2-4 year olds here. By the time my oldest was 3, he could vacuum a room well enough that I didn’t secretly go over it later. Yes, three. Children can often do more than we realize. Keep in mind that just because it is a “chore” doesn’t mean it can’t be fun. See my post Making Work Fun for more on that concept. Keep the chores you give young ones small. My three year old could vacuum a room well, but I didn’t have him do more than one room. Consistency is an important aspect to instilling chores in the family. If your child has always done chores for as long as she can remember, why would she think there is any chance of her not having to do chores this week? She might give it a try every so often, but she won’t expect any reward to come from that effort. Be consistent with your rules and expectations. You might have to either walk out of the room or busy yourself with your own job in the same room so you don’t become a major micro-manager as your child cleans. Remember a child is learning how to do these things and will not be as good as you are at all. You want to accept the job well done and be satisfied with the efforts. If you do a simple Google or Pinterest search on chore charts, you will find countless ways of tracking chores. Find one you like and try it out. When that gets stale, try something else out. I find kids get excited about the same old chores by a simple switch up of the chore chart. I have a few ideas for you: Chore Cards, Chore Jar, and Chore Wheel. You can definitely have children who are good cleaners and helpers with a little (okay, a lot) of work. Slow and steady. Keep up the good effort and your day will come. Chore charts are great. I find you have to mix it up–you can’t use the same chore chart forever. Kids need a change of scenery every once in a while. I don’t do allowance. We have in the past. There isn’t anything necessarily wrong with it. IF you do allowance, it is wise to charge your child for not doing chores.